At DNA health group, our team of highly accredited Exercise Physiologists specialise in the provision of evidence-based exercise programs for the treatment, management and prevention of a number of acute and chronic health and medical conditions. Our Exercise Physiology services are recognised and funded by Medicare, DVA, WorkCover, TAC and many private health insurance funds. We offer individual and group class exercise sessions, conduct comprehensive health and fitness assessments, prescribe home exercise programs, and provide consultations on healthy lifestyle change and behaviour modification. Under the Chronic Disease Management Program, Medicare rebates are available for patients with chronic and complex care needs on referral from their GP. Patient Eligibility: For patients with a chronic condition ( > 6 months duration) and a complex care need. E.g: CVD, diabetes, asthma, cancer, musculoskeletal, obesity. Medicare Rebates: Patients are eligible for up to 5 x individual allied health services per calendar year. Unused sessions may roll over to the following year. Under the Chronic Disease Management Program, Medicare rebates are available for group classes for patients with Type 2 diabetes in addition to the individual Medicare rebated sessions. Patient Eligibility: For patients diagnosed with Type 2 Diabetes. Medicare Rebates: Patients are eligible for up to 8 x group exercise services per calendar year, plus 1 x initial assessment. Unused sessions may roll over to the following year. Please Note: these sessions can be taken in addition to the 5 x Medicare individual Allied health services. Entitled Department of Veterans’ Affairs (DVA) clients may be referred by their General Practitioner for Exercise Physiology treatment where clinically necessary. DVA will fully fund the patient, and there will be no out-of-pocket costs for both individual and group classes. Patient Eligibility: Gold Card Holders (For any referred condition. Examples: osteoporosis, balance issues, CVD, arthritis, diabetes, musculoskeletal conditions). White Card Holders (for specific conditions only as per card). Length of Referral: Patient’s referral will either last for 12 months, or be an ongoing referral depending on patient’s assessed clinical need. For referral to any health care provider, it is the LMO’s responsibility to provide the above information about a veteran to ensure that the provider understands the veteran’s medical history and to allow the provider to claim payment from DVA. AEPs provide functional exercise for the purpose of returning an injured worker to suitable work activities; through tailored exercise prescription suitable to the worker’s injury or work demands, and/or specific work activities such as increasing movement capacity. Patient Eligibility: A medical practitioner must provide and lodge a request for exercise physiology services to WorkSafe Victoria. The claim must be approved prior to commencement of treatment. Length of Referral and Funding: The patient will be able to undertake 10 sessions per referral (ongoing sessions can be obtained upon a new referral after each 10th session based on clinical need). The patient will have no out-of-pocket expense. The Life! program supports your patients to take control of their life, teaching them how to adopt healthy behaviours and a more active lifestyle to reduce their risk of type 2 diabetes, heart disease and stroke. d. Aged 16 or over, have had a Work Health assessment and have scored 12 or higher on the AUSDRISK tool. The patient must not have diabetes, angina/ angioplasty/ myocardial infarction (diagnosed in the last 3 months), clinically active cancer and must not be pregnant. Your patients can also access our services privately, and may be eligible for rebates through private health insurance (27 out of 35 private health insurance funds now offer rebates for Exercise Physiology services). We also offer HICAPS for easy on the spot claiming. 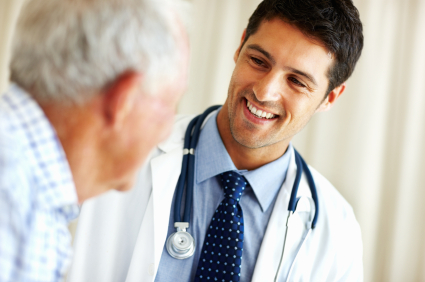 We do not require a medical referral, however, we do prefer to obtain a patient’s medical history / medications etc. prior to the commencement of treatment. Refer your patient to DNA Health Group by clicking the button below. Alternatively, you can fax your referral to us on (03) 9555 8449.